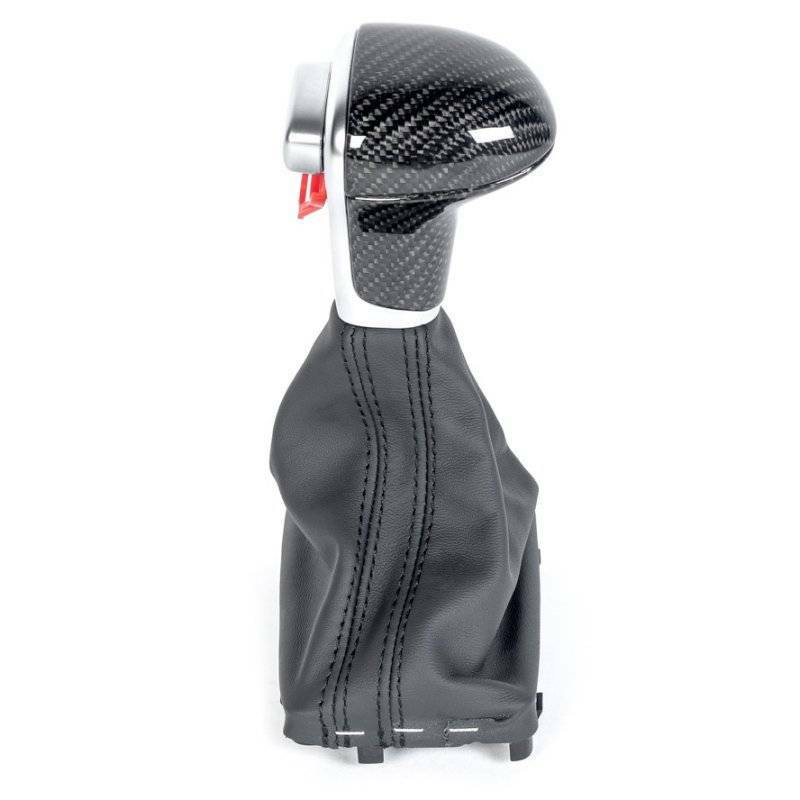 Carbon fiber trimmed shift knob features a side mounted shift button. 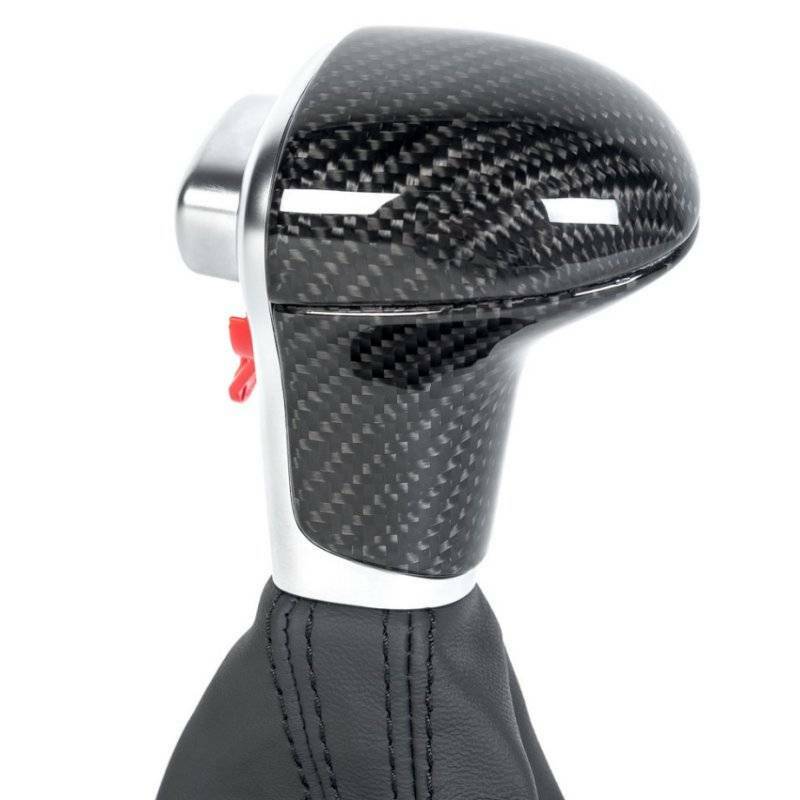 This means no modification when installing into any C7 pre-facelift model. The shift boot comes in solid black leather, steel grey or moor brown. 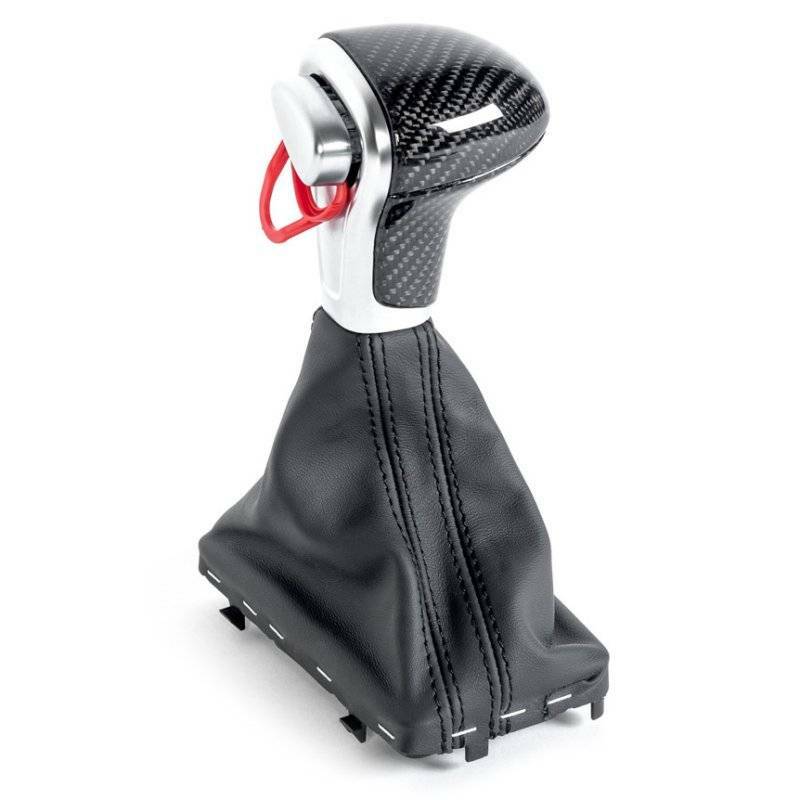 Also available in black leather with titanium stitching, silver stitching or beige stitching on the shift boot.